Patrick Henry’s Plight | News and Features | Style Weekly - Richmond, VA local news, arts, and events. Why a battle over building ownership could derail the city’s first charter school. Organizers behind the Patrick Henry School for Science and Arts say they need to own its building in order to expand. But the School Board is unwilling to give it away. Here's what the board of the Patrick Henry School for Science and Arts wants: to own the building that houses the school. But so far, the Richmond Public Schools have been reluctant to hand over the deed to the property. After years of planning and political consternation, the ownership of the building has become a critical issue that could derail the city's first charter school. The doors of the school's permanent home on Forest Hill Avenue opened to children in January, but only a portion of the necessary renovations on the 100-year-old building have been completed. The charter school's board members argue that Patrick Henry's potential cannot be realized without a transfer of the building's title because they can't obtain a loan to finish the work without owning the building to use as collateral. It all ties back to a years-long, federal court-mandated effort to bring city schools into compliance with the American with Disabilities Act. Patrick Henry's renovation work is mostly needed to bring the school into compliance, which would open the building for expansion. 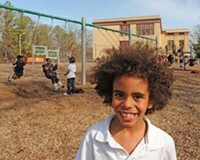 For Richmond schools, the system-wide remediation projects are scheduled to be completed by 2013. But there's disagreement about whether the Patrick Henry School is bound by the settlement. In January the School Board asked Patrick Henry officials to agree to a variety of amendments to its charter agreement. One of them called on the Patrick Henry board to drop attempts to secure building ownership. In exchange, the School Board offered to seek an extension to the 2013 ADA deadline. A letter sent to the School Board earlier this month indicates that Patrick Henry officials reject the offer. The second phase of the renovations cannot be completed without a long-term loan, according to the letter. And that loan is contingent on ownership of the building, the board says. The board's plan always has been to complete renovations by 2013, says Kristen Larson, a spokeswoman for the Patrick Henry School. Building Hope, a Washington-based organization that provides funding to charter schools, has indicated a willingness to provide a $500,000 loan to help defray the costs, Larson says. Asked whether the school is bound to the 2013 deadline, Larson says: "Our timeline has been discussed in planning meetings with the stakeholders. … Whether or not it's binding, I don't know." Meanwhile, those sections of the school that haven't been brought into compliance remain closed. Without the improvements, Larson says, the school can't grow. The number of enrolled students will stay fixed at around 200, and so will the amount of state-provided, per-pupil funding to the school, money that helps cover the costs of teacher salaries, books and other general operational costs. The operating budget for the Patrick Henry school is somewhere between $1.8 and $1.9 million, Larson says. Enrolling more children means the school receives more state funding, which decreases the pressure to raise private funds. "For the school to be successful, for it to be financially secure for the long term, we need to make this happen," Larson says. The school is operating at only a fraction of its capacity, she says: "In any situation, that's not very efficient." Richmond Public Schools spokeswoman Felicia Cosby declines to comment. While it's the city that actually owns Patrick Henry, the School Board has operating authority over the building. If and when they agree that the building should be classified as surplus, which would allow Patrick Henry's board to take ownership of the building, City Council would have to approve the property transfer. Chris Hilbert, 3rd District City councilman and chairman of the Health, Human Services and Education Committee, says the surplus issue hasn't come up for discussion. Why is the School Board unwilling to transfer the property? Some are concerned that Richmond schools would lose out if the charter school defaults on its loan payments. With no other collateral, the lender takes possession of the building, meaning the school district loses out on any of the proceeds from a potential sale of the property. Kim Gray, who represents the 2nd District on the School Board, says the proceeds from the sale of surplus buildings generally are rolled back into the district's capital improvement fund. 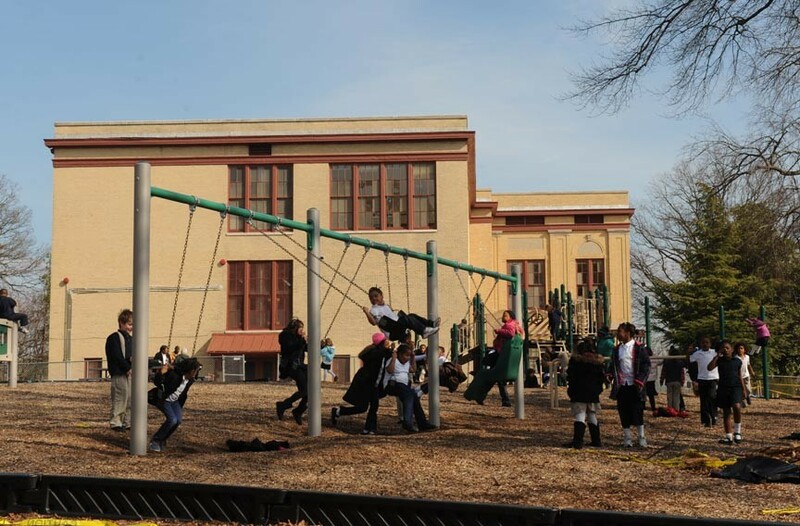 After a recent reassessment by the city, the Patrick Henry School is valued at $1.35 million. That's no small loss for a school system that's in significant financial trouble. The system is staring down a budget shortfall of $23 million. Is the city's first charter school an innovative alternative? Or a drain on an already financially strapped school system?